Will I be drinking this again: Sorry Dan but this one was pretty bad. 3/26/2010: Mmmmm chocolate wheat, sounds like it would be good right? This one must be REAL rare even in Japan as I cannot find any information on it. In fact when you google the name of the beer, one of the top results is my site from the beginning of the week. Hmmm, so I have no idea what to expect here haha. The chocolate definitely comes through in the smell, it actually smells a little sour? The taste is very similar, typical wheat beer taste with a dose of chocolate, roasted flavor, but I just can’t ignore the sour. Not sure if its the way it was brewed or if it was a little bit infected? The mouthfeel was actually very very goopy and thick for a wheat beer. I think I would have enjoyed this much more if the sour wasn’t there. The chocolate itself is a very good taste, but I am just having trouble appreciating it. I actually have one last Japanese beer to drink tomorrow! I am pulling one out of my stash to add to Japanese Craft Beer week. Picture of the day: This is how you clean a ferarri. Will I be drinking this again: Yes if I can find it in the states! 3/25/2010: The artwork on Baird Beer labels is very cool. 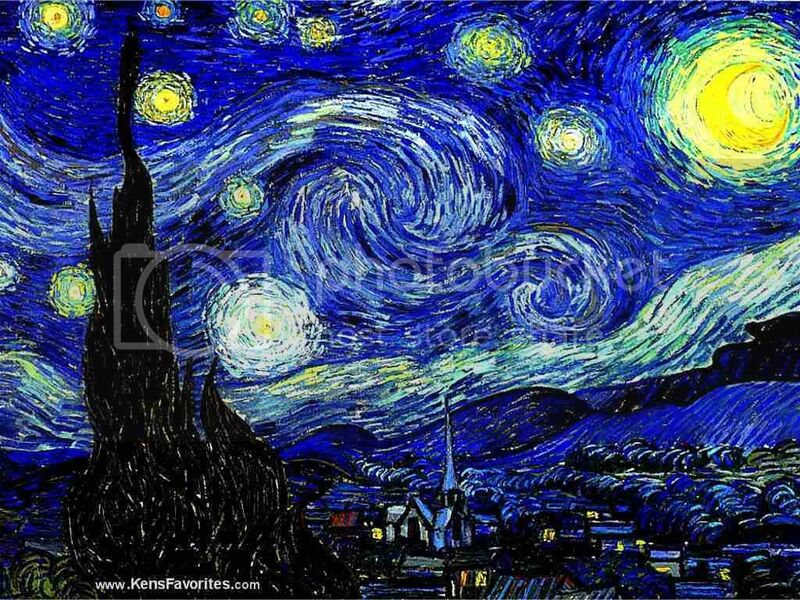 Very starry nightish. After seeing the bottle I realized that Vintage Estate actually carries a couple of their beers, but not this one! So thanks again to Dan for sending over another hard to find in the US beer. Wow this beer is not anything like I expected, smells very hoppy for an RIS. The taste is what I would call sneaky, they pack in a lot of hops for a stout, but its works VERY well. A lot of roasted coffee flavor, and I am getting this cola type kick also. I get a molasses type flavor but its not overwhelming. Full of flavor but a super smooth drink. An above average carbonation is a nice touch to this. Alcohol is hidden nicely we well. Upon further research this beer is somewhat accessible in the states so if you see it, give it a try. Picture of the day: This is actually a commercial for beer. click here. Style: Not really sure ?? 3/24/2010: So I am a bit nervous to try this one as Chuwy and Dan are both telling its not at that great. I do love a good chocolate beer so I have a feeling I might like this a bit more than they do but who knows. The smell is TONS of chocolate.. You can tell they didnt hold back the cocoa on this. The first sip was REALLY ashy/metallic. Not sure if the can had anything to do with this but it didn’t sit right with me. That taste faded and after that it was almost all chocolate. I should say I LOVE chocolate but even for me it was a little much. I get some maltyness but its hard to find it behind all the chocolate. Overall it wasn’t put together terribly bad, but if they just toned down the chocolate about 50% it would be much better. I am sure this is a beer that casual chocolate lovers might like, but it was just too much for me. Picture of the day: Who ever said WWE wrestling isn’t real was a liar. 3/23/2010: Beer #2 for Japanese craft beer week. Another one that seems pretty rare in the states as I cannot find much info on it at all. Thanks again Dan! Should be interesting to drink a Russian Stout in USA that was brewed in Japan. Hooray for multi-culturalism! The smell is dark malts with some booziness. Taste is actually pretty nice, even amounts of coffee and chocolate flavor, with that nice alcohol bite that you get with a russian imperial stout. A good bit of roast flavor and the malts are integrated very nicely. Mouthfeel is a bit lighter than I expected, but it works well. Overall not much very different about this beer, but I think thats what makes it so drinkable. Very solid. I would for sure drink it again if it were available here! 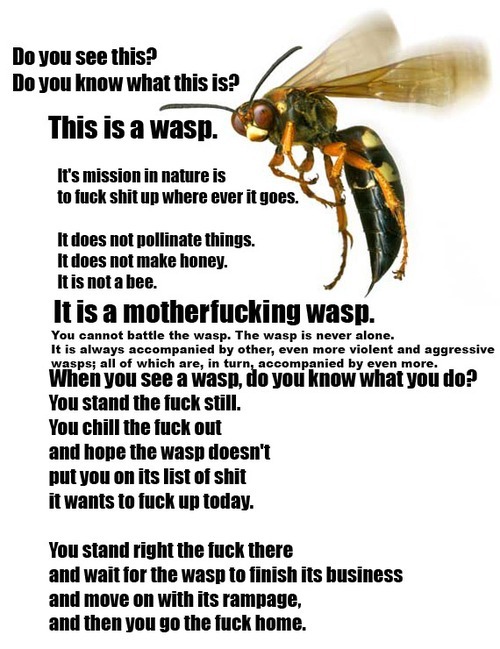 Picture of the day: Wasps are only around to wreak havok. 3/22/2010: Ahh time for the first beer in my week of Japanese Craft Beer. Why did I pick this one? Honestly because it was the coolest looking one of the bunch haha. This beer on BA rates as a C+, which is kind of surprising to me. I think US beer drinkers have become jaded in their idea of what an IPA should be. IPA’s should be heavy on hops and light on the malt. Now if we were talking Imperial IPA that would be a different story. All that being said Yona Yona Aooni does have a good hop to malt ratio when it comes to the “guidelines” of an IPA, the problem is there isn’t quite enough hops overall. The flavor is good but it seems a little bit watered down. Again I think thats because over the past couple months my taste buds have been bombarded with hoppy beers that my idea of IPA has been jaded a bit. For instance, the FFF Alpha King Pale Ale I just drank had much more hop action going on than this beer. I do also think this gets a low rating because as I just stated, it doesn’t quite fit the mold for an IPA. If this were classified as a Pale Ale on BA, I bet it would rank higher. Overall this beer is very drinkable, just not a ton of flavor going on. Not a bad start to my Japanese beer week! Picture of the day: Gotta love a Walmart Wedding. 3/22/2010: This week I will be drinking all craft beer straight form the Land of the Rising Sun. The beer was sent to me directly by Daniel @How to Japanese. I have always been interested in Japanese/Asian culture; martial arts (I’m a second degree black-belt in Tang Soo Do), sushi, their goofy TV shows, their cars (I used to have a sooped up Acura RSX, click here for a picture), and the list goes on. But I never knew that they had a craft beer scene at all, let alone a pretty good one. From what Dan tells me craft beer is really starting to boom in Japan. A big thanks again to Dan as I am sure it was not cheap sending this to the states straight from Japan. I will really have to take good notes on these since there are two or three that aren’t even on beeradvocate.com. I put pasted a brief description (supplied by Dan) of each one of the beers below. The most “American” of the beers included. I think Baird’s been brewing it for a couple of years, but it’s still relatively new. It’s seasonal and not one of his regular lineup, which you can tell because of the bomber size. The regular lineup comes in 12oz bottles and not bombers. This is made by the same company as the Shiga Kogen lineup of beers. I like the Shiga Kogen IPA as well as the Miyama Blonde but included this because you’re a stout fan. I’ve had this beer only once and it was a while back, so I can’t say anything specific about it. Hopefully a decent beer. I wanted to send one of Fujizakura’s Rauchbiers. Either the regular Rauch or the Rauchbock, but they were out when I went to the store. Fujizakura makes an excellent lineup of German beers, all of which are really solid, so this beer should be decent if nothing else. One of my top 2-3 favorite breweries in Japan. It’s also an example of how Japan likes to do “chocolate” themed stuff for Valentine’s Day. Limited edition and pretty rare I’d say, even in Japan. ROYCE is a famous chocolate company up in Hokkaido, which is where Sapporo is based. This beer is a travesty, but I include it to show you how easily duped the consumers are here. Most of the breweries in Japan have a normal 100% malt beer that is very decent and drinkable – just a basic lager. Then they have a cheaper “happoshu,” which isn’t technically beer by Japanese legal standards…more like a light beer or a malt liquor, but a lager just the same. Then they have these silly special edition beers. This one includes “cocoa nibs.” It’s regularly available at most grocery stores and convenience stores, but will probably disappear after Valentine’s Day.